The ultimate customization contest is back and better than ever – the Battle of the Kings is on!! 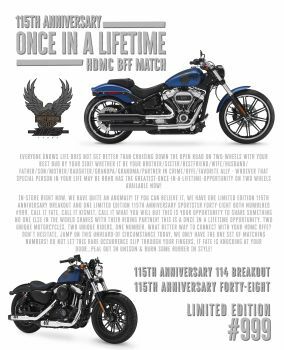 Harley-Davidson is the leader in customization. In honor of that legacy, 52 U.S. Dealers will compete in the BOTK & each must pair with a local trade school to share ideas as well as show real world application of H-D mechanics, design, & branding! The Career Education Center of WFTX will work with RRHD and WE WILL NEED YOUR VOTE APRIL 15 - May 15 RRHD.COM BOTK LINK to make it through Round 1 People's Choice!! 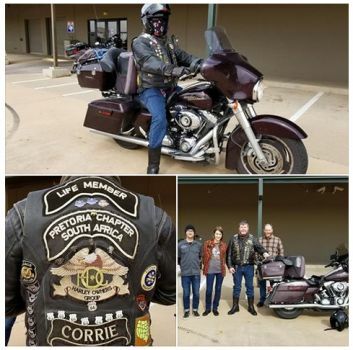 The Yargo family, who recently purchased their first motorcycle from RRHD, sent us an AWESOME Thank You Gift that we wanted to show off to raise awareness for Kidney Transplants! Thank you Yargo's! - & please SHARE YOUR SPARE! 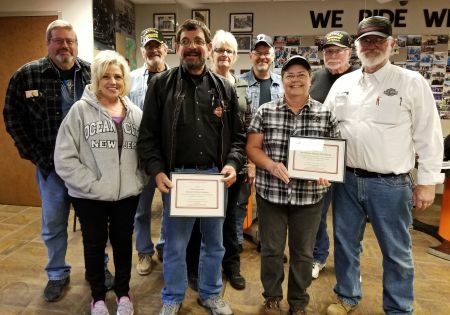 Every year the Harley-Davidson Motor Company recognizes a handful of dealerships based on motorcycle and related product sales performance, customer service and satisfaction, and operational measures. 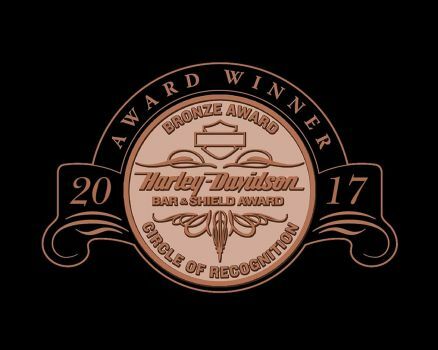 Red River Harley-Davidson was recognized this year with the prestigious Bronze Bar & Shield Circle of Recognition Award for 2017. You will NEVER believe this! 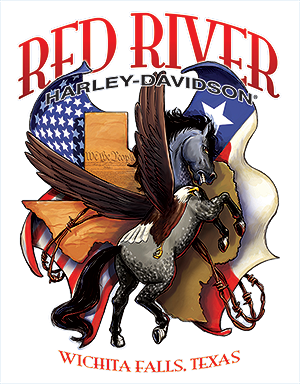 Red River H-D had TWO LIMITED EDITION Anniversary model motorcycles on our showroom floor - BOTH NUMBERED 999! SAY WHAAAT!? This was ABSOLUTELY a ONCE IN A LIFETIME opportunity for a pair of riding buddies to have the ULTIMATE BFF set up!! We had one Anniversary Breakout 114 #999 AND one Anniversary Forty-Eight #999. From the deserts of Las Vegas, we have returned, and boy do we have some stories to tell! 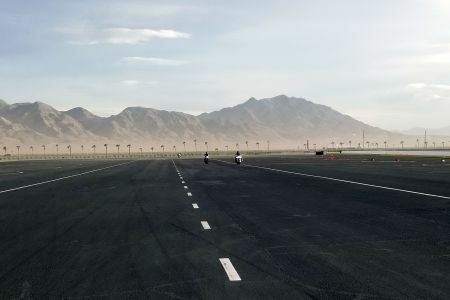 Bobbie and Sean of the RRHD team have traveled to the deserts of Las Vegas to complete the Harley-Davidson "Back to the Track" course on the Las Vegas Motor Speedway where they rode all of the new Harley models, the previous Harley models, and their direct competitors. Read more to find out how they all stacked up! 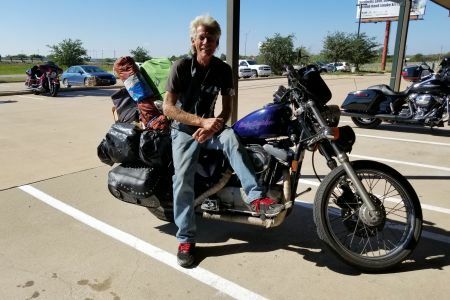 Jay Williams is traveling across the United States on two wheels and made Red River Harley-Davidson one of his many stops toward finding his freedom. One of the only H.O.G. members worldwide to win the ABC's of Touring not once but twice! 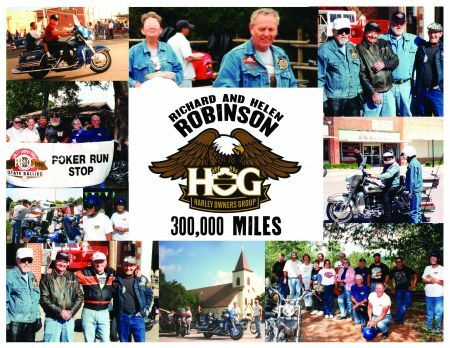 Recording 300,000 miles is not something very many people accomplish in a lifetime and we have two members in our local chapter who were recently awarded just such an award.